Lend a helping hand! 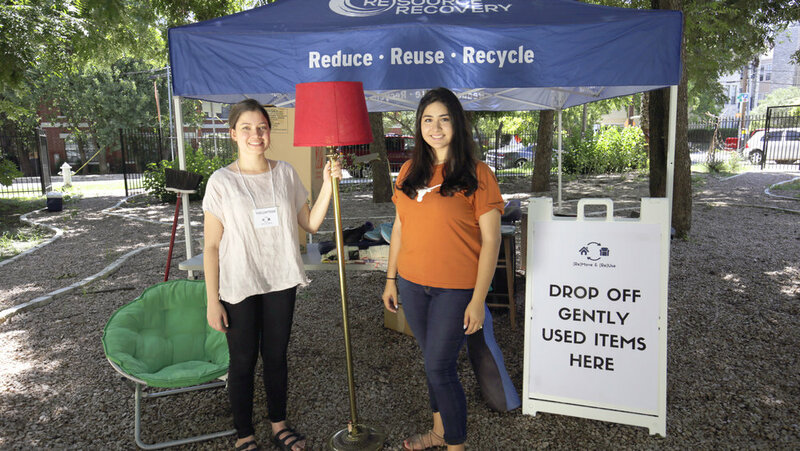 Help reuse organizations accept (or reject) items and manage lines at the drop-off stations. Shifts last 2.5 hours and volunteers will receive a cool-it towel and access to free participation perks as a thank you! The ability to lift up to 50 lbs. is preferred (though not required). Please be sure to dress appropriately for the heat, wear sun protection and closed-toe shoes, bring a full reusable water bottle, and stay hydrated. As a thank you, Austin Resource Recovery will be providing cool-it towels to volunteers. Water refills and snacks will also be available on-site.